It started innocently. A visionary German doctor, his mistress, and a dream; to escape the comforts of city life and create a paradise on Earth. In 1929, they set sail thousands of miles to the remote island of Floreana and began their new life. However, when news of this modern day Adam and Eve spread, others flocked to join them in their exotic island paradise. 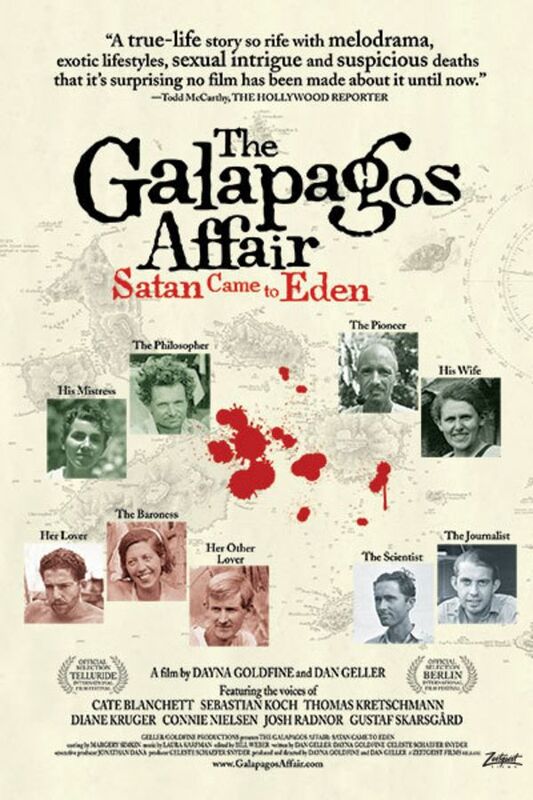 The Galapagos Affair is a riveting investigation into the ensuing melodrama; rife with eccentric characters, absurd colonial fantasies, sexual deviance and yes, murder. A fascinating documentary portrait of a 1930s murder mystery as strange and alluring as the famous archipelago itself. Fleeing conventional society, a Berlin doctor and his mistress start a new life on uninhabited Floreana Island. They did a god job of making this movie. Shows humanity. Not much about the incredible wildlife of Galapagos. Seems like humans could let this "paradise" to the wildlife and leave it uninhabited. It's a fascinating story which I had heard of before but never understood. This film finally sheds light on the bizarre sequence of events that happened on Floriana Island. A good film --good script, well edited and executed-- that is worth the watch. A cohesive and fascinating exploration of human behavior in a most basic, stripped down society. Loved this beautiful film. Fascinating and very well done. I had never heard of this story before now. Thank you.